At Macaulay Law Offices, LLC, in St. Paul, Minnesota, we are here to help you and your family through some of the most difficult legal challenges you may ever face. Our law firm's founder and managing attorney, Jennifer Macaulay, has practiced law since 2002, and she has served the residents of our community through our law office since that time. A recognized leader in her practice areas, Ms. Macaulay conducts lectures and seminars across our region, which means she possesses the extensive knowledge and skills required to help you through your situation no matter how complex. Admitted to practice before district courts in Minnesota and Wisconsin as well as the U.S. Court of Appeals for the 7th and 8th Circuits and the U.S. Supreme Court, we can help you obtain the most favorable results possible for your serious legal matter, and we can also help you challenge a previous ruling regarding your case in order to increase the odds of obtaining the justice you deserve. 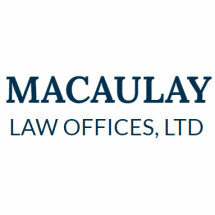 To find out more how we can best serve your needs, you can contact Macaulay Law Offices, LLC, by phone, email or through our law firm's website to schedule a free initial consultation.